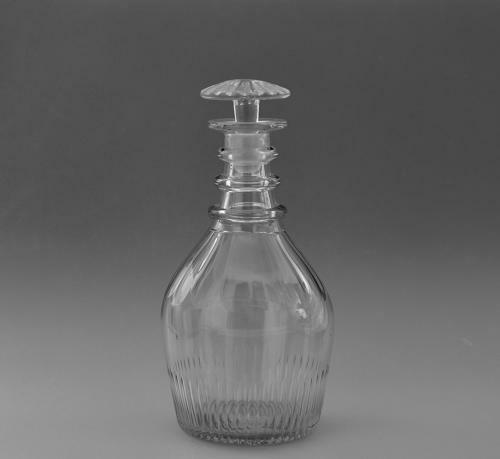 Decanter with cut basal and shoulder flutes, three applied neck rings and star cut mushroom stopper. English C1830. Condition: Very good. A nice clean decanter.